Will there be similar offers elsewhere? Yesterday's court approval of VW's landmark $14.7 billion settlement with regulators and owners of over 475,000 TDI diesel vehicles has made waves, ranking as one of the most significant corporate settlements ever. Korean automaker Hyundai is seizing on the opportunity by quietly rolling out an unusual Friends & Family offer for those affected. The program, known as Hyundai Circle V-Plan, offers a generous flat discount plus additional incentives. So what does the program involve? Who's eligible? And is the deal any good? 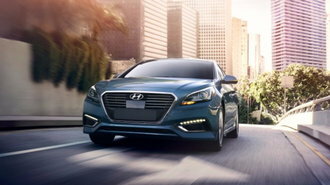 Beginning today, Hyundai is offering "Friends & Family Plus" pricing to those affected by the recent class settlement. To get the deal, customers must be a current or previous owner (or lessee) of a select 2.0-liter TDI VW or Audi model from the list below. To qualify, affected vehicles will need to have been purchased or leased prior to September 18, 2015. Customers can present their Class Settlement letter to any participating dealer in order to generate a V-Plan certificate for a new Hyundai model of their choice. The program is a new variation of Hyundai Circle, which is comparable to Ford Plan Pricing. As part of the deal, eligible shoppers will be able to score a flat discount in addition to extra cash incentives. "We have launched this program yesterday and sent the announcement last night to all of our regions and dealer personnel." The rep stated the offer is set to expire January 3, 2017. As far as discounts go, this is a fairly generous offer. Based on our analysis, V-Plan is a bit more attractive than GM Supplier Pricing, which is essentially invoice plus a $200 program fee. In contrast, Ford X-Plan (also referred to as Friends & Neighbors Pricing) is calculated as invoice minus 0.4% plus a $275 program fee. The most generous Hyundai Circle program is without a doubt E-Plan for corporate employees. Circle E involves a discount of 4% of MSRP under invoice, minus $400, minus E-Plan Cash which varies by model and vehicle trim. One of the more impressive examples of E-Plan Cash is $7,000 off a 2017 Hyundai Santa Fe Sport 2.0T Ultimate. That being said, Circle V is potentially very attractive when you consider it can be combined with many current incentives. For example, the 2017 Elantra SE is rated at 38 mpg overall and features a choice between $2,000 cash or 0.9% APR for 60 months plus $1,000 cash or no payments for 6 months. We haven't seen similar offers yet from competitors targeting TDI owners. However, with Hyundai's aggressive move today, it's hard to imagine automakers won't be aiming to capitalize on frustrated VW owners looking for a fresh alternative. That being said, we wouldn't expect VW to stand still if this happens. The company has displayed a willingness to offer some attractive offers, like a massive $2,000 loyalty bonus this time last year and a $1,500 conquest bonus targeting competitors earlier this year. Be sure to visit our Deals hub for the latest new car incentives and to search the latest cashback, finance and lease deals on hundreds of models.